Formerly known as Avalon Luminary, Gate 1 Travel takes over an exclusive charter of the renamed Monarch Duchess in time for the 2019 river cruise season. Capable of carrying 138 passengers, Gate 1 Travel is keeping much of this former Avalon Waterways' vessel's decor intact, giving it a classy, upscale feel that will really add substantial bang-for-buck with the line's reasonably priced river cruise departures. Unlike most other river cruise lines, Gate 1 Travel keeps fares low by un-bundling some common features. To that end, drinks aboard Monarch Duchess all come at an additional cost, except at dinner when the line rolls out some freebies. Ditto for gratuities, transfers and most excursions; these also come at an add-on price. 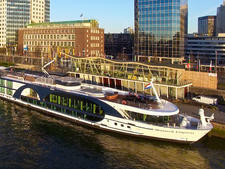 Having said that, Monarch Duchess offers a world of value for those looking to take a river cruise and might be priced-out of the more expensive lines. The average age onboard skews younger than most, and many passengers have traveled with Gate 1 Travel before on the company's land-based vacations. If you're looking for value over inclusions and want a comfortable European river cruise, Monarch Duchess just might fit the bill. Dining aboard Monarch Duchess is where experienced river cruisers might notice some differences. While breakfast and lunch are buffet-style affairs served in the ship's main dining room, dinners are a fixed four-course meal, with set appetizers, soups and desserts. Only entrees offer multiple choices per evening, typically a meat, fish or vegetarian dish. Dietary requirements can't be guaranteed, but Gate 1 Travel states that it does its best to meet all dietary requirements provided that 72 hours' advance notice is given. This is more of a quantifier than a negative in Europe, where extended port stays often give the ability to dine ashore. Still, those looking for elaborate, multicourse affairs each evening may have to keep their expectations in-check. 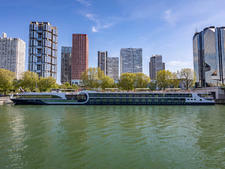 In keeping with its Avalon days, the rebranded Monarch Duchess offers three basic types of stateroom: river-view rooms with fixed half-height windows, expanded staterooms offering large floor-to-ceiling French Balcony windows and four suites. With the exception of the suites, all staterooms are 172 square feet in size and feature flat-screen TV, direct dial telephone, safe, individual climate control, hair dryer and mini-fridge. Suites expand on the living space a bit, but don't expect anything overly lavish; yesterday's suite is today's standard stateroom. Still, at 258 square feet, the ship's four suites on Royal Deck offer a generous amount of personal space, well-appointed bathrooms with marble fixtures and full showers, and a French balcony. Up on top, Monarch Duchess dedicates a lot of deck space to relaxing and viewing -- the perfect combination for scenic cruising. Both shaded and uncovered seating options are offered along with a jogging track and a Sky Bistro that serves up drinks and light bites when weather permits. One of Gate 1 Travel's strong suits can be found in the onboard entertainment department. Daytime rarities include darts competitions and mini-golf sessions, along with exercise classes, post-dinner quizzes and other fun diversions. The old mainstay piano player in the evenings is omnipresent, and the younger crowd tends to keep things going in the ship's main lounge a little later than most other lines. Although Gate 1 Travel attracts a slightly younger demographic of traveler (40s and 50s), this is still a thoroughly adult experience. 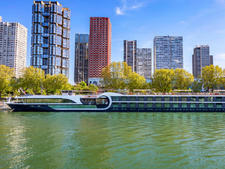 The minimum age for guests on Gate 1 Travel's European river cruises is 16, and anyone under the age of 18 must be accompanied by an adult aged 21 or over. Monarch Duchess operates a wide variety of river cruises along the Danube, many of which can be extended with cruisetour packages that include pre- or post stays in cities like Prague, Munich and Budapest.